You are doing a training in BEIED RestArt Program in July. Art Practices – applicable in business. What attracted you to the idea? The opportunity, through my own experience, to reveal the techniques of “art in business”. I think, however strange it sounds, they have common roots. The ability to work with people, in front of the audience and in the team is the same as in art. A good presentation is what we actually do on stage and in cinema. Actors are trained for real challenges. What is the most important thing you think will be useful to anyone outside of this sphere? Both actors and successful business leaders are under stress, pressure, working with time, and everything is happening now and only now. And if we assume that life is a scene, and that’s not a cliché, everybody can perfect their skills, play it more convincingly, through the techniques of art. You have experience in such trainings. Do you reveal to the participants some of the tricks, methods and exercises to help them for their confidence and self-esteem? That’s what I’m showing to them. A career would be unthinkable if we fail to present ourselves in the right light. I see many young people as well as established professionals with years of experience who have a huge potential but they do not believe in themselves or simply fail to uncover their potential at the right time in the right place. You, yourself, are you still learning? Do you work on new skills? Each of us learn every day, as long as there is a desire. Viewed from a business perspective, as Warren Buffett says “The more you learn, the more you will earn”. If I stop learning, if I stop looking for new ways to enrich what I am doing and developing, then I will betray the people I`m helping to. Talent, discipline, experience? How do you grade these important elements of success? On July 18th – “ReStart” with many exercises. What people do you expect in the group? Everyone who is ready to develop themselves and like it! The desire to improve is a starting point for success. I always say it to the people I work with. Yana Kuzova – Actress. A winner of the Asker Award for supporting female role in the show “The House of Wrath”. Rich theatrical experience with leading roles and participations in international theater festivals and scenes. Six years is part of the troupe of the National Theater Vuzragdane. Professional experience in leading media. She was starring in NOVA TV’s “Forbidden Love” series. 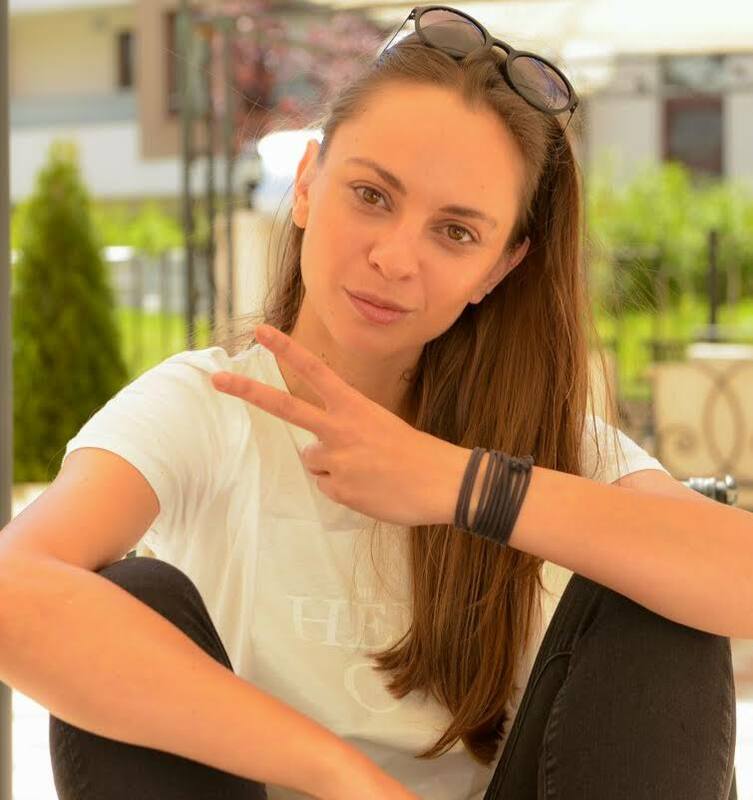 As a child she is the lead of the teen “Clip Coupon” TV show of the Bulgarian National Television, part of the TV series “Links” on TV7, leading “AutoMotorShow” on bTV. Her voice is part of the Bulgarian audio books. She has experience in reading bestselling internationally books and contemporary Bulgarian authors. She has worked with directors such as Kamen Kalev, Sunny Suninski, Dimitar Sharkov, Todor Chapkanov and others. Her first role in American production gives her the opportunity to partner with Hristo Shopov, Stephan Rea and Bruce Payne. She participated in musical clips and advertisments for Kamenitza, DSK Bank, Arlet Stars, Beefeater Fashion Show, Tommi and others. Yana has a great experience as a leader in many official events, fashion shows, events of big companies, private parties, opening of road sections, presentation of new products, annual awards of Sofia Municipality and many others. Charismatic and positive, Yana has experience and skills in communicating with different characters. Exercises and preparation for stage and screen appearances that practitioners practice also help in our business and social engagement, learning us of useful skills. Jana has been doing trainings with practical assignments that enjoy excellent success.